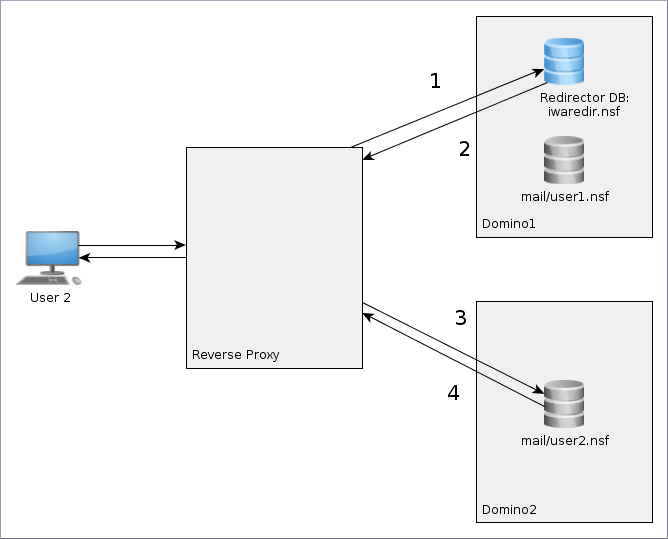 Apache as a reverse proxy for IBM Domino iNotes with home server redirection. How to setup an Apache reverse proxy and IBM Domino iNotes to automatically redirect users to their Domino Mail server for secure Domino Mail access. Setting up a Domino Server to deliver mail services in a browser is not that complex. This requires some changes in the Domino server and Internet Sites documents and the start of the HTTP Domino server task. As long as the access is limited to the intranet just setup the Lotus iNotes Redirect database on one of the servers and provide your users with the link to that database. The Redirect database handles the redirection to the correct Domino mail server by changing the URL, this is nearly transparent to the user.